If you are considering filing for Chapter 7 or Chapter 13 bankruptcy in the state of Florida, you may have questions concerning property that is exempt during the bankruptcy. In short, exempt means you get to keep that asset at the end of your bankruptcy case. First, an explanation of the differences between Chapter 7 and Chapter 13 bankruptcy filings. Chapter 7 bankruptcy wipes out all general, unsecured debts, including medical bills and credit card debts. In order to qualify to file a Chapter 7 bankruptcy in the state of Florida, you must have little to no disposable income. Any non-exempt property you own will be sold by the Chapter 7 trustee in order to pay at least some of your debt. If you don’t have any non-exempt assets, your creditors will receive nothing. Generally speaking, only those with very little income and very few assets, who want to have their unsecured debts discharged, will qualify for Chapter 7 bankruptcy. Chapter 13 bankruptcy, on the other hand, is for those who make too much money to file for Chapter 7, and who can pay back at least a portion of their outstanding debts through a repayment plan. According to your income, expenses and types of debt, the court will create a repayment plan for you which will allow you to catch up on missed mortgage or auto loan payments, pay your credit cards and even pay such outstanding (non-dischargeable) debts as child support arrears or alimony arrears. Even some who qualify for Chapter 7 bankruptcy may choose to file for Chapter 13 bankruptcy as it allows you to keep your property, including nonexempt assets. Chapter 13 bankruptcy is generally considered “reorganization,” while Chapter 7 is considered “liquidation.” To qualify for Chapter 7, you must have very little disposable income and pass the means test, while qualification for Chapter 13 bankruptcy requires less than $383,175 in unsecured debt or $1,149,525 of secured debt. A discharge for Chapter 7 bankruptcy generally takes from three to five months, while a Chapter 13 discharge is not received until the payment plan is completed (from three to five years). Non-exempt property will be sold to pay creditors in a Chapter 7 bankruptcy, while Chapter 13 debtors can keep most of their property, but must pay their unsecured creditors an amount which is equal to the value of their non-exempt assets. A Chapter 7 bankruptcy allows you to quickly discharge most of your debts, obtaining a fresh financial start. Chapter 13 bankruptcy allows you to catch up on missed payments and retain your property. 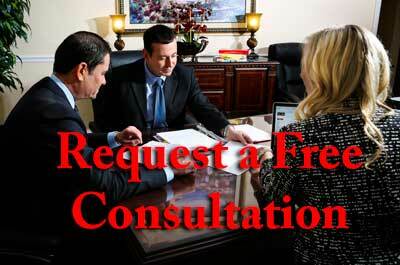 Can I Use the Federal Bankruptcy Exemptions in Florida? For anyone that has conducted research on bankruptcy cases and exempt property, they will probably notice mention of Federal exemptions versus State exemptions. Each choice details a specific list of values you are allowed to keep. In the state of Florida, debtors are not allowed to use the federal bankruptcy exemptions, rather residents of the state must use the state exemptions. Federal bankruptcy exemptions, as well as state bankruptcy exemptions, protect specific property. In case you are curious as to the differences between federal and Florida state exemptions, here are the federal exemptions: The federal amounts are adjusted every three years in April, and if no dollar amount is stated, you can exempt the entire asset. The federal homestead exemption allows you to protect $22,975 of equity in your home, $3,675 for your automobile, $1,550 for your jewelry, $12,250 total on household goods, furnishings, appliances, books, clothing, animals, musical instruments or crops, $2,300 for tools of your trade, all health aids, all life insurance policies which have not matured, and $12,250 in the loan value of a life insurance policy (for whole life policies). Under the federal exemption laws, you are allowed to keep $22,975 received from a personal injury lawsuit, any recovery for the wrongful death of a person you were a dependent of, and any compensation you received for being the victim of a crime. Federal law also provides of a “wildcard” exemption which can be applied to any property you own in the amount of $1,225, plus $11,500 of any unused portion of your homestead exemption. In fact, Florida’s bankruptcy exemptions are extremely favorable to residents, including unlimited exemptions for homestead, annuities, and the cash surrender value of a life insurance policy. You must have lived in the state of Florida for a minimum of 730 days prior to filing your bankruptcy petition to be eligible to use the property and other exemptions in the state. If you were not living in a single state during the two years prior to the time you filed for bankruptcy, the state exemptions you are allowed will depend on where you lived for the majority of the 180 day period prior to the two years before filing for bankruptcy. As an example, assume you lived in New Mexico from January 1, 2010-January 1, 2012 (two years), then make a permanent move to Florida. On January 1, 2013, you decide to file bankruptcy in Florida. In this scenario you must use the exemption laws of New Mexico because you have not lived in Florida for two years. If you are ineligible for any state’s exemptions, you will be allowed to use the federal bankruptcy exemptions. Florida has one of the most generous homestead exemptions in the entire country. If you have equity in your home (your home is worth more than you owe on it) the homestead exemption can allow you to keep the home if you file for Chapter 7 bankruptcy, and may come into play under Chapter 13 bankruptcy as well. Under Florida bankruptcy laws you are allowed to exempt an unlimited amount of value in your home or any other property which is covered by the homestead exemption. The only restrictions include: the property may not be bigger than half an acre in a municipality, or 160 acres elsewhere. You must have owned the property in question for a minimum of 1,215 days before you file for your Florida bankruptcy. If you cannot meet this requirement, your homestead exemption will be limited by federal law. Property purchased in Florida as a future residence is unprotected under the homestead exemption until it is occupied as a permanent residence. Likewise, a second home or investment property does not fall under the homestead protection laws in Florida. Only “natural persons” are qualified to use the Florida bankruptcy homestead protection, meaning properties which are titled in the name of a corporation, partnership, LLC or irrevocable trust are not protected. If the home was not occupied continuously for the required period of time, the homestead exemption becomes $146,450, or $292,900 for a jointly-owned homestead. Under the bankruptcy laws in the state of Florida, personal property up to $1,000 is exempt. Personal property can include such things as electronics, furniture and art. Other personal property exemptions include educational savings accounts, hurricane savings, health savings, any prescription health aids, health savings account deposits and medical savings accounts. You get an extra $4000 in protected assets if you do not own real estate (or are using the homestead property exemption). The Florida motor vehicle bankruptcy exemption allows you to protect $1,000 in car equity, or $2,000 if you are married and filing joint bankruptcy. The motor vehicle bankruptcy exemption in Florida plays a major role in determining whether your bankruptcy trustee can keep your vehicle, selling it to unsecured creditors. If the equity you have in your car is less than the $1,000 exemption, the trustee is not allowed to sell it, but if you have a significant amount of equity in your vehicle, it is likely it will be sold to pay your unsecured creditors for Chapter 7 bankruptcy. If you have more than $1,000 equity in your automobile, you may be able to cover the extra with your personal property exemption. Further, if you choose not to use the homestead exemption in order to protect your home, you can use an additional $4,000 toward the equity in your vehicle. Vehicle equity is a frequent problem because many people own paid-off vehicles. If this is the case, the bankruptcy trustee will demand payment for the amount of the vehicle that is above your $1,000 exemption. Some trustees will allow payments over a short term. Currently in Florida, the court uses a certain standard for vehicle valuation – Kelley Blue Book “Private Party” value. That is the value used if you ran a classified ad to sell your vehicle and transferred it to a private party. The private party value is typically higher than dealer trade in. While Florida is generous about exemptions in general, the state is also very specific regarding the types of vehicles which qualify for vehicle exemptions during a bankruptcy filing. Any vehicle which is licensed to operate on Florida roadways, transports people or property, and is propelled by a force falls under the exemption (bicycles and mopeds are not protected under Florida bankruptcy automobile exemptions, however RVs, motor homes, trailers, semi-trailers, vans, trucks and cars are. Only one motor vehicle may be protected under the Florida bankruptcy vehicle exemption. Other pensions which are exempt during a Florida bankruptcy include tax-exempt retirement accounts such as 401(k)s, 403(b)s, profit sharing plans, money purchase plans, SEP and SIMPLE IRA’s, state and county pensions, firefighter pensions, police officer pensions, IRAs and Roth IRAs (up to $1,171,650) and teacher pensions. The rule of thumb is that any pensions that are covered under federal tax exemptions are considered fully exempt property. When in doubt ask your plan administrator whether the plan is an “ERISA” plan. If it is – the retirement plan is exempt. Earned income tax credits are protected under the Florida bankruptcy wage exemption as are public assistance benefits, unemployment benefits, VA benefits, workers’ compensation benefits, crime victim’s compensation, alimony and child support necessary for support and Social Security benefits. As far as insurance benefits are concerned, the following are protected under the Florida bankruptcy wage benefits exemption: Death benefits which are payable to a specific person, life insurance cash surrender value, annuity contract proceed except winnings from the lottery, disability or illness benefits and fraternal benefit society benefits. A debtor is allowed to claim up to $4,000 of personal property if he or she does not take advantage of the homestead exemption. For joint debtors in the state of Florida, the wildcard exemption is $8,000. Debtors who do not own a home, can claim the wildcard exemption, and debtors who do own a home may still be able to claim the exemption. Should you have no equity in your home, therefore don’t attempt to claim the homestead exemption, you can claim the bankruptcy wildcard exemption. Even if you have claimed a homestead exemption in the past, and are, in fact, living in the home, if you are not claiming a bankruptcy homestead exemption you may be eligible for the Florida bankruptcy wildcard exemption. If you use your wildcard exemption for personal property, the value of that property is based on fair market value—what you could reasonably expect to get if you sold the property. Most personal property depreciates over time, meaning you can exempt more property with your wildcard exemption. Will the Value of Your Property Exemptions Be Verified? This is normally conducted under the “honor system”. It is assumed that you know the condition and value of your assets, therefore your Florida bankruptcy attorney relies on you to submit the correct values on your Questionnaire. You are doing so under penalty of perjury, therefore it is not up to your attorney to question the values you place on your property. The bankruptcy Trustee, however, does have the authority to send an appraiser to your home to value the property you have listed as bankruptcy exemptions. The Trustee has 30 days after meeting with you in which to object to any of your exemptions—if there is no objection within that 30-day periods, you can assume the asset is exempt and you are allowed to do with it what you choose. Non-exempt property will be included in your bankruptcy estate, and your Chapter 7 Trustee can take and sell all non-exempt property, distributing the proceeds to your unsecured creditors. In some instances you will have the opportunity to keep non-exempt property under a “buy back” program, you will agree to with your Trustee. Property exemptions can get extremely complex, therefore it is certainly advantageous to speak to a Florida bankruptcy attorney in order to ensure you take advantage of all your allowed exemptions. Mr Ayo was my attorney in the case of changing my parenting plan. My situation was very different because I am active duty military out of the state of florida. He was very aggressive and knowledgeable. He took the right steps at the right time. I am very glad. I hired him and very satisfied with the results of my case.